Yup, that's right! Get out the glue and the glitter we are going in! St. Patrick's Day is Saturday and while this holiday doesn't get as much recognition as it's more well known friends it's a load of fun! Did you know if you catch a Leprechaun they have to tell you where their gold is hidden? 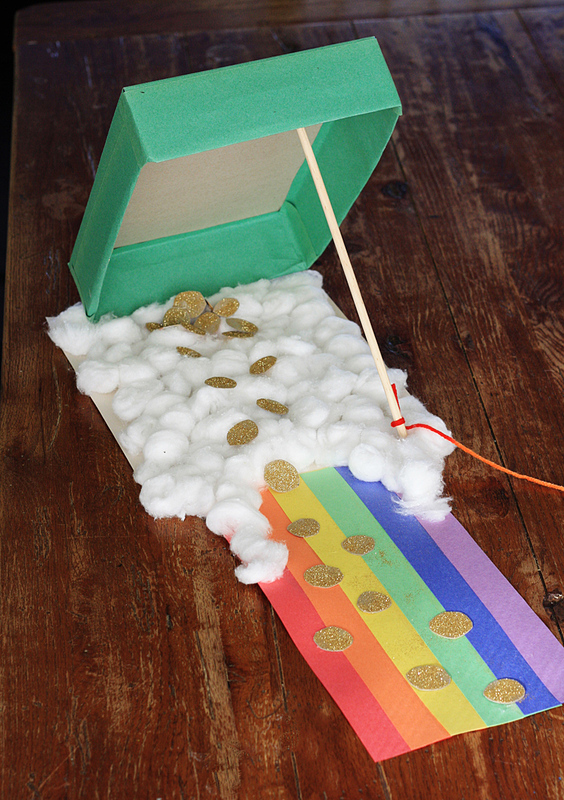 So grab the kids and let's get started because today I'm sharing a few fun tutorials for Leprechaun traps you can make with items around your home. And lets face it....you can't build traps without a few treats to go along with it! Cereal Box Trap - I really love this one that the Kix Cereal Company shared. With a cereal box and some glue you can make this simple but cute trap. Shoe Box Trap - The base is a shoe box covered in green paper. What I loved is that it just really allowed for the kids to decorate it however they wanted and really use their imagination. Baby Wipe Box Trap - I love the thought of recycling something versus throwing it in the trash and face it there are few mama's out there that doesn't have a few wipe boxes laying around. Leprechaun Playground - I just thought this was adorable with the "Free Slide" for the leprechauns. So imaginative I just couldn't pass it up. Leprechaun Hat Trap - Made from a plastic hat from the Dollar Tree this trap is a load of fun. She even includes some free printables to help you with decorating. Lego Trap - If you have a little one who's a fan of Legos this tutorial is perfect! Letter from the Leprechaun - There is something very special about seeing the world through the magic in your childrens eyes. This letter is a sweet way to keep that St. Patricks Day Magic alive and it includes a free printable letter! It's a lot of hard work building the ultimate Leprechaun Traps and what better way to get into the spirit with a few fun St. Patrick's Day snacks. Lucky Charm Krispie Treat - Yummy! No further explanation needed! St. Patrick's Day Sugar Cookie Bars - Simple and sweet the way treats should be! St. Patrick's Day Dipped Oreos - I love a good treat that is simple but still themed and fun. St. Patricks Day Muddy Buddy - Cute and handy while your working on your traps! St. Patricks Day Jello Parfaits - I love this and it would make a great dessert for St. Patrick's dinner! Green Velvet Cupcakes - How can you go wrong with cupcakes?! Need a fun activity to help the kids run off all that sugar? How about a St. Patrick's Day Scavenger Hunt? Time to relax? How about this fun read along book? How are you planning to celebrate St. Patrick's Day?